Dr. David Jump Restores Dental Implants in His Tulsa Dental Office! Receiving dental implants is a process, the first step being the placement of the implants. Once your implants have healed, they will need to be restored with an artificial crown, bridge, or denture. In his Tulsa dental office, Dr. David Jump provides dental implant restorations for patients ready to move on to the next step of their dental implant journey. Whether you have one tooth, multiple teeth, or all teeth needing restoration, we can place restorations that complete the process of receiving a fully-functional set of teeth. 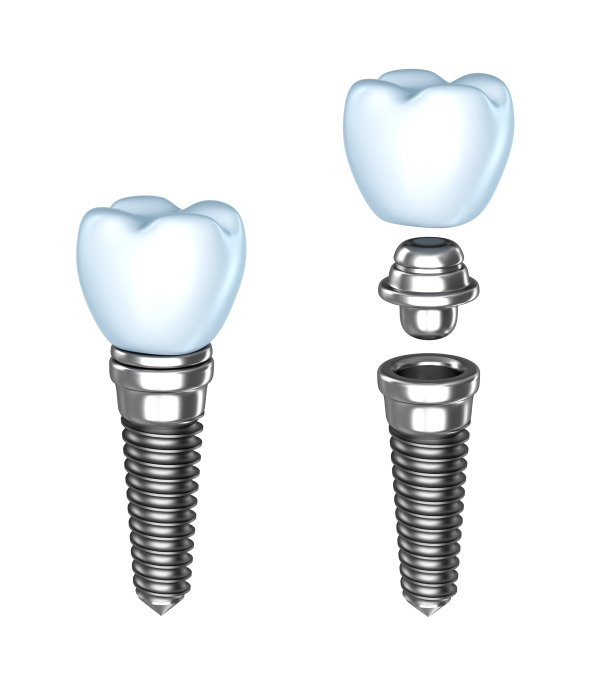 Receiving a dental implant involves a titanium screw that is surgically placed into the jawbone. During a healing process, the dental implant will fuse with existing jawbone tissue, creating a durable replacement for a tooth’s root. Once the implant has thoroughly healed, a restoration – in the form of a crown, bridge, or denture – is created to complete the implant process. The result is a seamless smile that looks and functions as if a tooth never went missing. Patients are welcome to consult Dr. Jump for restorations once their dental implants have been placed and properly healed. We work closely with an oral surgeon to determine the best restoration for your implant procedure as well as create and maintain dental implants that last a lifetime. Dr. Jump will take a mold of your teeth, which are sent to a laboratory as an impression used to create your custom restoration. Once the restoration has returned to Dr. Jump’s office, he will place the restoration, ensure proper fit and comfort, and cement the restoration into place. If you would like more information about dental implants, or to schedule a consultation with us in Tulsa, contact Dr. David Jump at Cherry Street Family Dentistry today!